As we continue to slog through the longest government shutdown in history with no end in sight, keep in mind that there are many in the Republican Party that actually like it this way. That’s not to say that many in GOP would express that sentiment publicly. 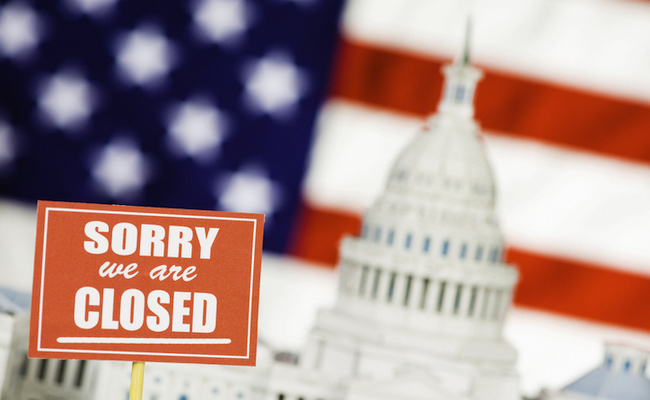 Government shutdowns are unpopular with Americans in all voting demographics, so it’d be a strategic blunder to openly celebrate. Still, for a party that regularly promotes smaller government, it’s managed to get what it wants by sending home about 400,000 “non-essential” federal employees without pay. This one top figure in the Trump administration is hardly alone. The Washington Post concurs that Donald Trump’s other advisors like Acting Chief of Staff Mick Mulvaney are not encouraging the president to put an end to this madness because it’s in line with their vision on how the government should operate. Other Freedom Caucus legislators are similarly prodding Trump to remain stubborn since their main objective is to slash the federal budget. A lot of the agencies most devastated by the shutdown are hardly GOP favorites. Republicans who have wanted to eliminate the EPA and settled for just destroying it internally with former energy lobbyists must now love that the EPA has closed its doors amidst the shutdown. Our National Parks are trash-filled messes now, but why would that bother politicians who’d rather sell off this federal land to corporations? Let’s not forget, though, that more than half of the furloughed federal workers are considered essential and still showing up to work without a paycheck. Any arguments pro-small government conservatives wind up making that we’ve managed fine without an open government ought to be immediately rebutted with that point. Also, even if most Americans have not felt the effects firsthand yet, that doesn’t mean they won’t in due course. With so many safety and security parts of the government shuttered, an unfortunate accident or emergency will expose that quick. We’ve wondered before why the Republicans in the Congress like Mitch McConnell keep acting helpless to pass a bill to reopen the government when the Democrats are happy to go with the one Republicans authored back in December. Given that it passed unanimously just weeks ago, they easily have the veto-proof majority to reopen it without his help. At this point, we’ve got to acknowledge that it has a lot to do with the fact that Republicans secretly want to see most of the government closed on a permanent basis. They’ll publicly (and baselessly) fault Democrats for the impasse all the while knowing that Trump is actually taking the heat in the minds of most Americans. And frankly, what real damage is there in letting such a wildly unpopular president take the blame? People are all for small government and minimum interference in their lives, until they need services that only a strong, centralized government can supply. Wildfire? What are you Libertarian schmucks gonna do - fight it with garden hoses? In Montana they threaten anybody who suggests higher taxes, but when fires threaten their homes they holler for firefighting choppers that cost $2000 an hour to run. What kind of a country would we have with little government? I'm sure at least 85% of us would still be paying taxes but for what? Each state would have to raise taxes to provide a minimum of what we need that the federal government was not supplying. The republicans cannot be trusted, not now. RK R... Ok space traveller I'll refute your comment. You don't think the Yellow Haired Freak is losing support? 6 high quality polls have been released this week with the topic being Trump and the border wall. Blame in the public's view rests solely at the White House. 70% of Americans thought the government shutdown in order to reach agreement on the wall is a bad idea. Trump loses support among his core voting groups. White Evangelists support for Trump plunged 13% in the NPR poll . Trump has also lost support from non-college educated white men from 56% to 50%. Latest polls also show that just 30% of registered voters say they would definitely vote for Trump in the 2020 election but nearly twice as many -57% said they will definitely vote against him. He has also lost 4% support from within the Republican Party. So there you have it......Time to return to Alpha Centauri! They all seem to have forgotten We The People. :( May they all be replaced ASAP with NO pensions.